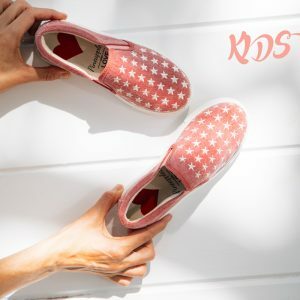 Little pink denim wash slip-on sneaker with embroidered stars and logo detailing at the ankle. Pink color is cute for our little ones and they love it. Make it fun with our slip-on sneakers. Our shoes are designed in Los Angeles and carefully handcrafted in Spain.